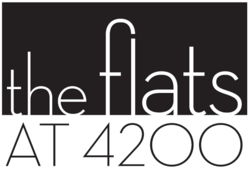 The Flats at 4200 is located north of the University of South Florida and features fully furnished, individually leased, studio, 1, 2, 3 and 4 bedroom apartments designed with the student in mind. Every suite has separately keyed bedrooms with private baths. Each suite includes a spacious common area and fully equipped kitchen with a stove, refrigerator with icemaker, microwave, dishwasher, and full sized washer and dryer. Apartments with private balconies and reserved covered parking are available. Water, Sewer, cable TV with HBO and high speed internet are included!